Despite all the advances in the modern home, some things are still best done in the old way. 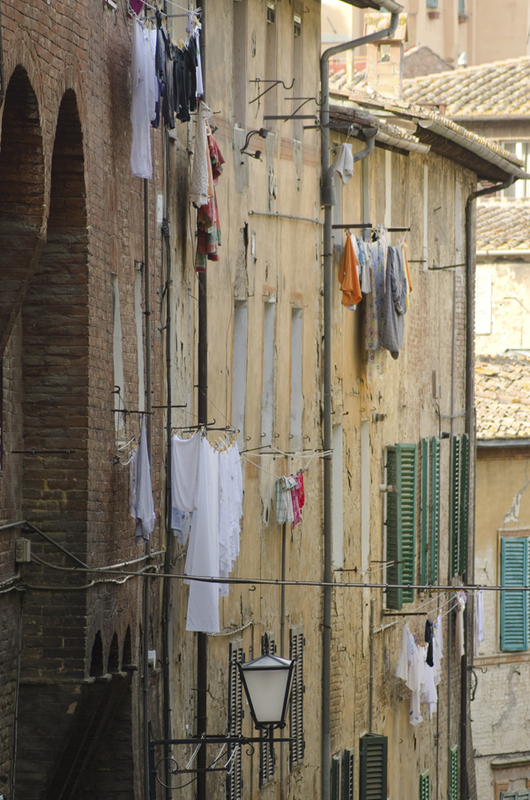 Clearly very few apartments in Siena have dryers so Saturday mornings the streets are lined with laundry. Given this washing is hanging over a major road out of Siena I guess nothing says clean and fresh like the lingering odour of “Eau de Two Stroke”. This entry was posted in Italy, Tuscany and tagged Holiday, Italian, Italy, Siena, Toscana, Travel, Tuscany, wash day, washing by toscanakiwi. Bookmark the permalink.